The Dressing Your Truth free online course was announced by Carol Tuttle in December 2017 and not a lot of people saw this coming, but the truth is, the fact that the Energy Profiling & Dressing Your Truth Course is now combined into the Free Before & After Journey, is a true sign of Carol's commitment to her mission to help women and girls feel confident about their true selves. She wants every woman to have access to Dressing Your Truth and to be able to support their daughters and close family members more easily with this life-changing program. I was one of the first to take the Energy Profiling course back in the late 2000's - before it was free and before Carol Tuttle even created the Dressing Your Truth program. Now it's progressed to the point that once you sign up, you get instant and FREE ACCESS to the 4-part Energy Profiling Course so you can confidently evaluate yourself as a Type 1, Type 2, Type 3 or Type 4. Then once you choose, you also have FREE ACCESS to the entire DRESSING YOUR TRUTH COURSE for all 4 types with the updated video series so you can see why you’re UNIQUELY BEAUTIFUL and get to the heart of what looks best on YOU (and why), to create a style you feel at home in. So you can feel more CONFIDENT - FOREVER - and know just how to bring out your true beauty, so you can greet the world more confidently each day. Get Free Access to Energy Profiling & Dressing Your Truth Here! 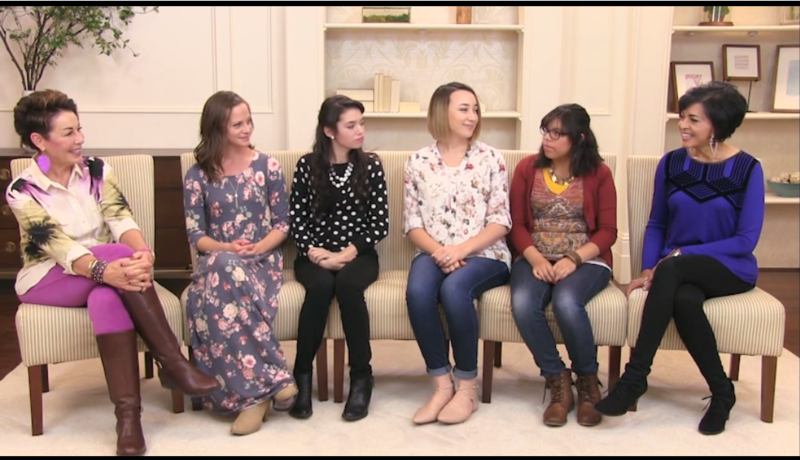 If you missed it, during a special broadcast in November 2017 when she announced that ALL FOUR courses were now available to everyone - she gathered several mothers & daughters together who came forward to tell their inspirational stories of how Dressing Your Truth has changed their lives and improved their mother-daughter relationship. You'll hear stories about gaining self-confidence, increasing self-esteem and learning better parenting skills. P.S. Look at these makeovers of real life women...fascinating!! Click here to watch this family's story.